Outside I can grow almost anything but inside not such a green thumb. 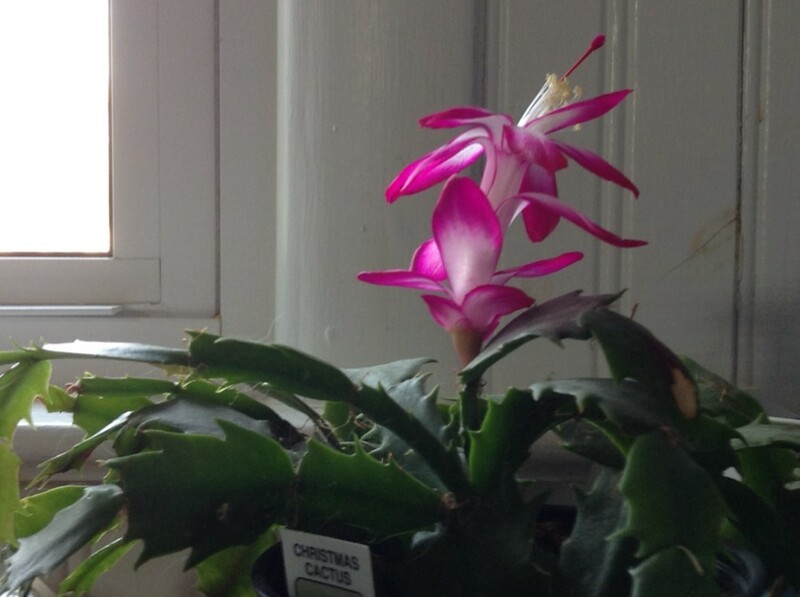 I like flowers in the winter so I grow Christmas Cactus. Their flowers are triggered by length of day. This one is a bit confused. April!